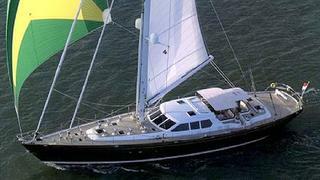 Marc Haendle at Ocean Independence says the owner of the 31.12m sailing yacht Psyrax is absolutely committed to sell and has made a further €600,000 price cut. Built by Van Dam Nordia in 2005 to a design by Robert Van Dam, Psyrax accommodates up to seven guests in a master suite and double and twin cabins, along with a Pullman berth. Her owner spent over €500,000 refitting her and now, boasting a smart modern interior, Psyrax is ready for her next adventure. Previously listed at €4.5 million, Psyrax is now asking €3.9 million, VAT paid.